The Hyundai Creta has been on the wish-list of every prospective small SUV buyer. However, with a set of new rivals expected to launch in near future, the Creta might face slight difficulties in retaining its crown. Hence, Hyundai has found it only appropriate to give this SUV its mid-life facelift to keep things fresh. 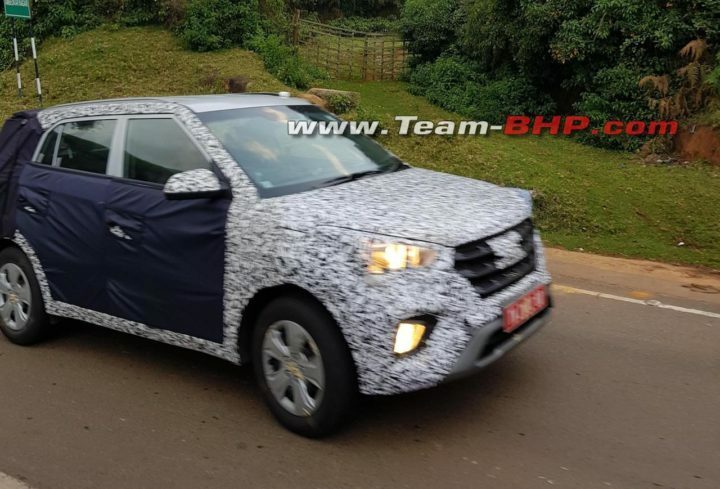 The new Hyundai Creta facelift is already on sale in Brazil and was recently spotted in India (Following is another spy image earlier this month). The new 2018 Hyundai Creta facelift will debut at the Auto Expo 2018. It should launch by mid-2018. A few months ago, Hyundai India launched a slightly updated Creta in the market. While this revision didn’t bring any sort of major changes, it did sport some updated features and came with new variants. 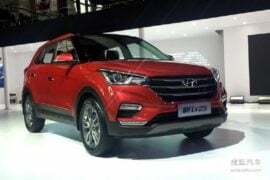 However, the new 2018 Hyundai Creta facelift, which will launch in India in the second-quarter of next year, will come with a host of styling updates and probably many new features. 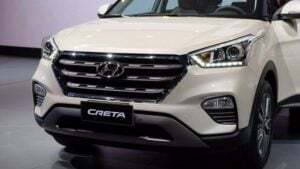 The Creta is a really important model for the popular Korean auto giant and the carmaker will be seen trying really hard to maintain the segment-leading sales figures. 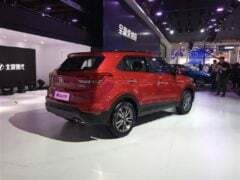 The new Hyundai Creta facelift will launch soon after the advent of the next financial year and is likely to even get a slightly more competitive price. This will ensure the small SUV continues to enjoy a great demand. The facelift will bring in some styling changes, new features, and updated engines. The front-end will look considerably different and hence, a lot fresher. The front of the car gets a revised set of headlights. The bumper is new. However, the biggest change comes in the form of the new front grille that boasts the cascading effect design. 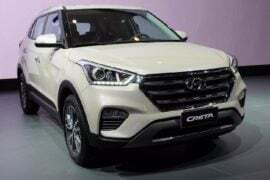 This brings the Creta in line with the latest models from the South Korea-based car company. The headlights no longer have LED DRLs as the latter have been moved to the fog-lamp enclosures. The side profile doesn’t get any change except for the introduction of a set of new design alloys. The rear-end gets really minor changes in the form of an updated bumper and re-profiled taillights. It really doesn’t look like the new Creta will launch in India this year. Instead, Hyundai is very likely to showcase the updated car at the Auto Expo 2018. The 2018 facelift for the Creta might then go on sale in the second-quarter of the next calendar year. The pre-facelift Creta will complete roughly three years by the time the launch of the facelift happens in India. We are hoping that the Creat facelift would launch in India at a slightly lower price point. The fully-loaded model could cost a bit more due to many new features. However, prices of the base model could start around Rs 9.00 lakh. The top-end model could cost slightly more than Rs 15.00 lakh. For India, the Creta facelift 2018 will offer the same engine options and specs as the current car. This means that the petrol model will have a 1.6-litre dual VTVT four-cylinder engine that outputs a maximum power output of 121 BHP and a peak torque of 151 Nm. It comes mated to 6-speed manual and 6-speed automatic transmissions. This is the same engine that also powers the Verna. The Creta offers two CRDI turbocharged Diesel engines – 1.4-litre and 1.6-litre. The smaller of these two engines outputs a maximum power of 126 BHP and a peak torque of 220 Nm. The bigger of the two engines produces a maximum power of 126 BHP and a peak torque of 259 Nm. While the 1.4-litre Diesel engine comes mated to a six-speed Manual Transmission, the 1.6-litre Diesel engine is paired with a six-speed manual gearbox as standard and a six-speed automatic unit as optional. We are hoping for a minor increase in the overall ARAI-claimed mileage figures of this motorcycle. The small increase in mileage will be courtesy of the re-tuned engines. The Diesel engine with manual transmission is likely to offer a max. average mileage of 20 KMPL in real world driving conditions. The biggest highlight of the new Hyundai Creta facelift is the exterior design. 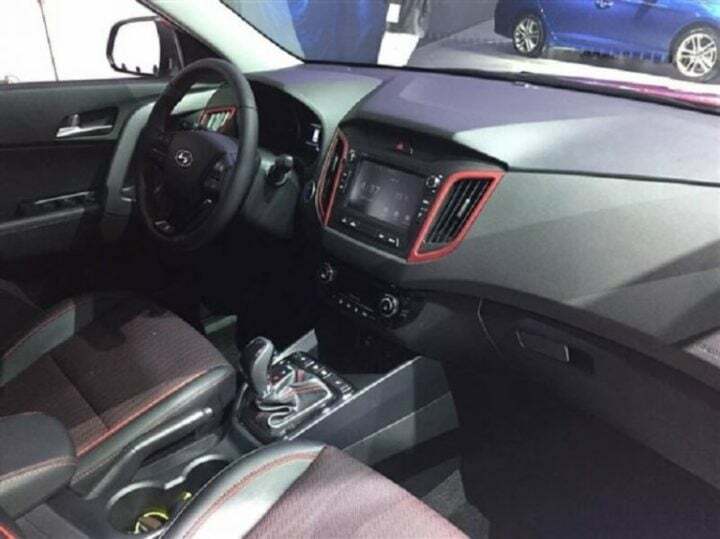 The images seen here are of the China-spec model that clearly shows the exterior changes. The new grille, which is bigger, follows Hyundai’s cascade effect design for of the griile. The bumper is also new. Furthermore, the vertical fog lamp units have been replaced by horizontal fog lamps. The Creta facelift for India could feature a similar look. However, it is sure to get the new grille with the ‘cascading’ design to bring the car more in line with the new models. 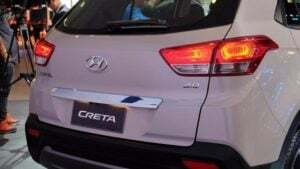 At the back, the new Creta features subtle changes to the tail lights. They get different detailing with the turn indicators and reverse lights now placed below the main stop lamps. Like the front, the rear bumper is new with a silver finish faux skid plate and new reflector units. Overall, changes made to the upcoming Hyundai Creta facelift will not be very drastic but will bring the exterior in line with Hyundai’s current design language. Changes made to the cabin are rather minimal in nature. While much of the interior remains much the same. However, there ins all-black theme with the upholstery getting red stitches on seats and gear lever cover. Hyundai wlll give the car a new bigger touchscreen interface for the infotainment system. There are some red accents around the aircon vents. Also, the centre stash gets a new layout that will have a new layout and buttons and knobs for the controls. Apart from minor additions, the Hyundai Creta’s features list should remain more or less the same. It already boasts a strong list of features. Additions might include a sunroof, new alloy wheels, etc. It will also get new tail lights. Hyundai might consider adding some LED detailing to them. As there won’t be a change in the design, with the facelift boasting only styling updates, the dimensions of the Creta will remain the same. Stay tuned to Car Blog India for the latest on the new Hyundai Creta Facelift. Do you think Hyundai need to update the Creta? Do let us know via the comments section below.